Gabor Degre | BDN Turbines at the Pisgah Mountain wind project in Clifton. A Maine commission created as part of the former Republican governor's efforts to hinder wind projects has released a report drawing few conclusions about the impact of wind turbines. A Maine commission created as part of the former Republican governor’s efforts to hinder wind projects has released a report drawing few conclusions about the impact of wind turbines. The wind energy advisory commission’s report released this month said its initial information does not suggest wind turbines pose “significant detrimental impacts” on property values, tourism or other concerns. Democratic Rep. Seth Berry said the report will likely have little impact under Democratic Gov. Janet Mills, who has voiced support for promoting renewable energy. Mills’ office didn’t immediately respond to request for comment. “I think everybody understands it’s basically a dead letter,” Berry said. LePage, who has derided subsidies for “boutique” wind energy, issued an executive order last year ordering a halt to new wind projects in certain areas of Maine. He also launched the wind energy advisory commission to investigate the impact of turbines on central and coastal areas of Maine. But his administration ignored the order, and several members departed from the commission, which didn’t meet for months and whose membership was long kept secret. Most individuals who provided public comment were opposed to further wind development because of the impact on “scenic views or natural resources,” according to the report. “It is clear from the comments submitted that wind is an emotive issue for many Mainers, both those for and against wind power development,” reads the report, released Jan. 2. The commission’s report said it had limited information and was unable to draw conclusions. 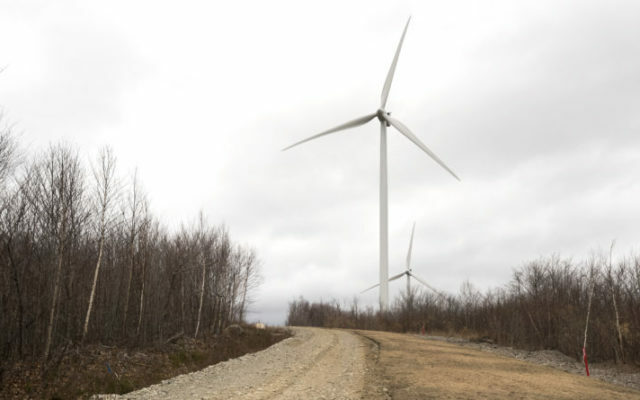 The commission, whose members included the manager of a sporting camp and LePage’s technical adviser Jim LaBrecque, recommended additional research on issues such as the impacts of wind turbines on health. “The majority of commission members did not feel adequately informed on the subject to offer an opinion beyond recommending further study of the matter,” reads the report. Maine has more wind output than all the other New England states combined, with 924 megawatts of capacity from 19 operating wind projects that range from one turbine up to 56 turbines. State regulators are reviewing proposals for two additional wind farms, and expect applications for another project in Clifton. A 2003 Maine law set lofty goals for wind capacity: 2,000 megawatts by 2015 and 8,000 megawatts by 2030. Former Democratic Governor Gov. John Baldacci supported the law, which expedited wind projects in certain areas of Maine.